What was the greatest World Series? 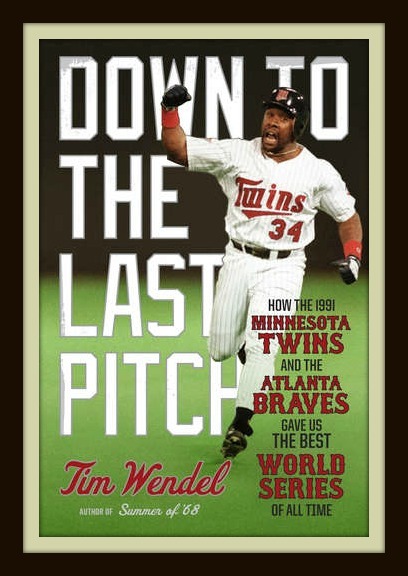 Ed Kasputis learns as he interviews author, Tim Wendel about his new book, Down to the Last Pitch. Our PhD Committee shares their SunTrust Park opening day experience with Steve Epstein from Atlanta Baseball Talk. The Braves have won the NL East, sorry Sports Illustrated. We enjoy Hotlanta as Ed Kasputis interviews Bennett Hipp from talkingchop.com about what went right for the Braves as well as Mr. Sports Travel aka Joe Connor about things to do in Atlanta. 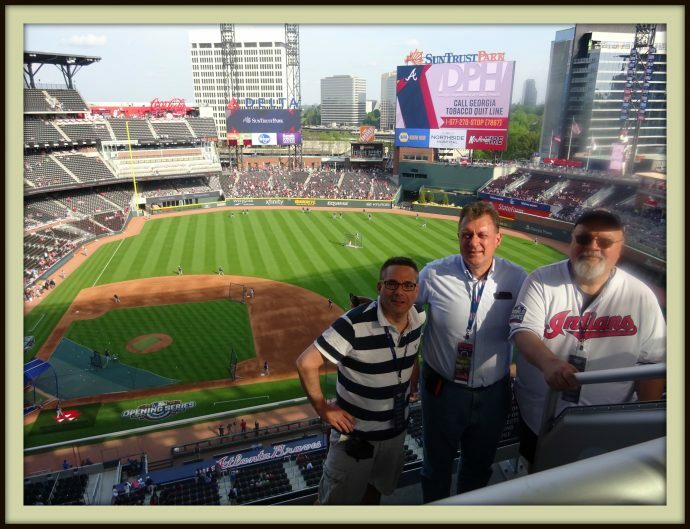 We are in the Capitol of the South, Atlanta, Baseball Bob reviews the current Braves while Mr. Sports Travel coaches us on what to see in this Olympic city. Ed, Farley and Dave share lots of stories as we enjoy the hospitality of Atlanta. Then it’s off to Cincinnati to enjoy the Queen City and those charging Reds! Can the Cardinals catch the Braves? This week is Cardinals week with our podcast featuring the St. Louis Cardinals being released on Friday, September 23rd. Can the Cardinals catch the Braves for the final National League Playoff spot? The Cardinals have won 8 of their last 10 while the Braves have lost 7 of their last 10. 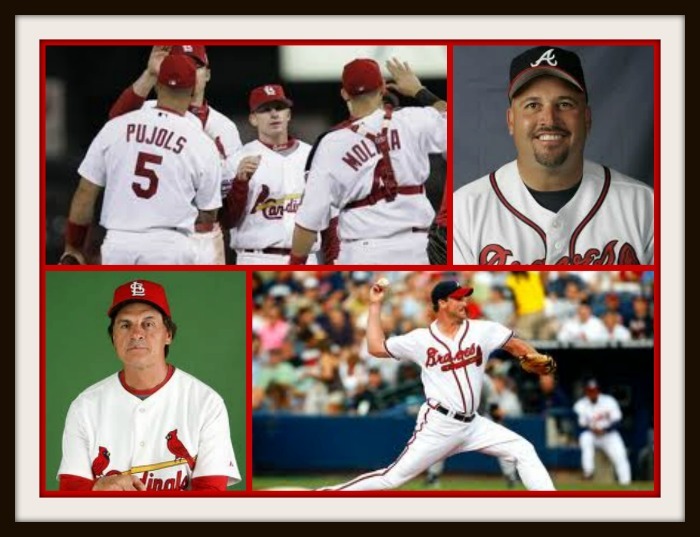 Ed Kasputis will be interviewing Ben Humphrey from vivaelbirdos.com about his hard charging St. Louis Cardinals. 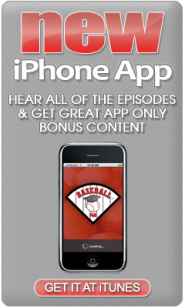 We’ll also sit at the feet of baseball-almanac.com founder, Sean Holtz as we talk about the game we love. Downtown, Midtown and Buckhead, it’s all great for us. Our PhD Committee is in the Capitol of the South – Atlanta. 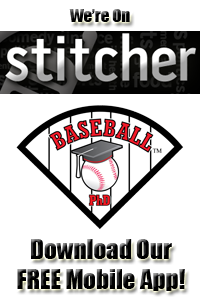 Ed, Farley & Mark talk about those Braves, then we get some Baseball PhD culture. Ernie Harwell was from Atlanta and Margaret Mitchell‘s paperboy. 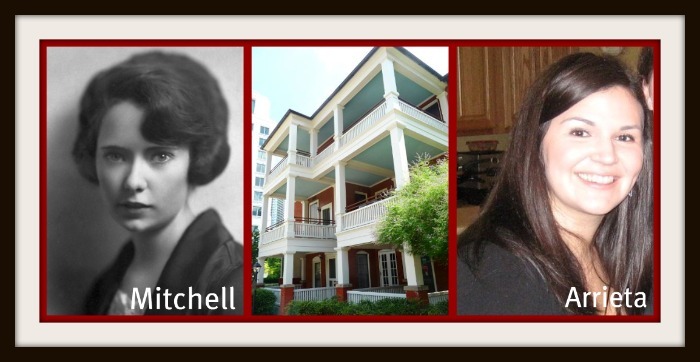 First Ed interviews Joanna Arrieta from the Margaret Mitchell House as we learn about Mitchell’s life and her greatest work, Gone With The Wind. Ed then interviews Steve Klein from The King Center. The podcast concludes as we say good bye to Atlanta and hello to the highest ballpark in the Majors – Coors Field in Denver. 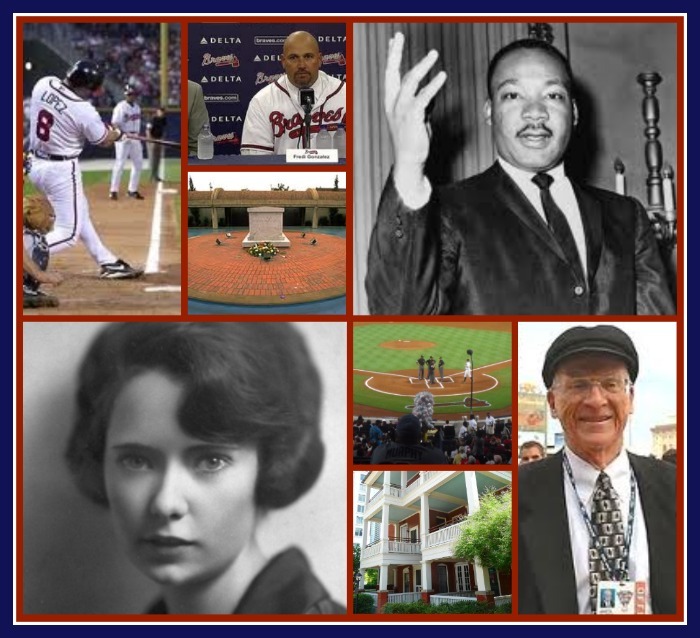 This week is Braves’ week and as part of our next podcast we’ll explore The King Center as Ed Kasputis interviews Steve Klein. 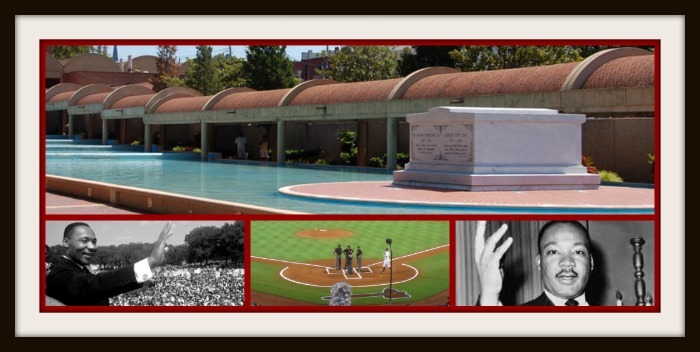 Who can forget the impact that Dr. Martin Luther King Jr. had on America along with the unforgettable sound of the tomahawk chop? All this and more during our next podcast which will be released on Friday, April 22nd. Go Braves!!! 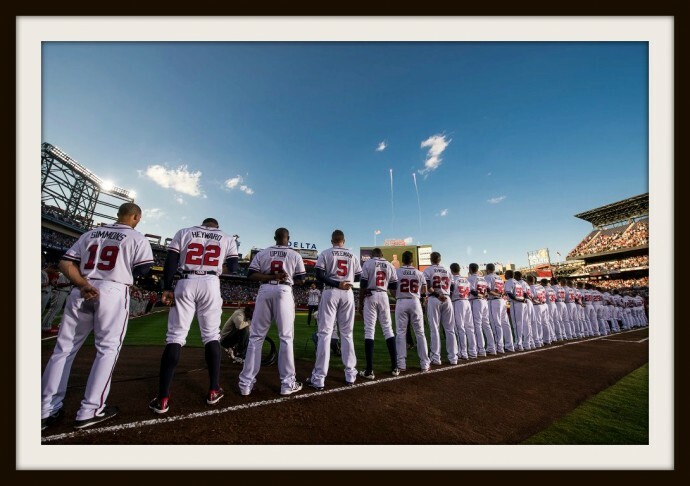 This week is Braves week with our podcast featuring the Atlanta Braves being released on Friday, April 22nd. As we prepared for the release of our Ernie Harwell podcast (Episode 38) which was released on December 10, 2010, we learned that the late great Ernie Harwell (1918 – 2010) was the paperboy for Margaret Mitchell (1900 – 1949). This fact inspired us to dig deeper and explore this connection. While stuck in bed with a broken ankle, Margaret Mitchell sat in her apartment and started to write her first novel, Gone With The Wind. During our current Great Recession, would you spend $40 to buy a book for pleasure reading? In 1936, during the Great Depression, over 1 million Americans did just that. (The novel cost $3 at the time which equals $40 dollars today.) “I had the chance to interview Joanna Arrieta from the Margaret Mitchell House,” said Ed Kasputis, Creative Director of Baseball PhD. “Her interview was engaging and unforgettable. I was shocked to learn that after adjusting for inflation, the highest grossing U.S. film of all-time was Gone With The Wind and not Star Wars.” You can hear this outstanding interview during out next podcast. This week is Braves‘ week with our podcast featuring the Atlanta Braves being released on Friday, September 24th. 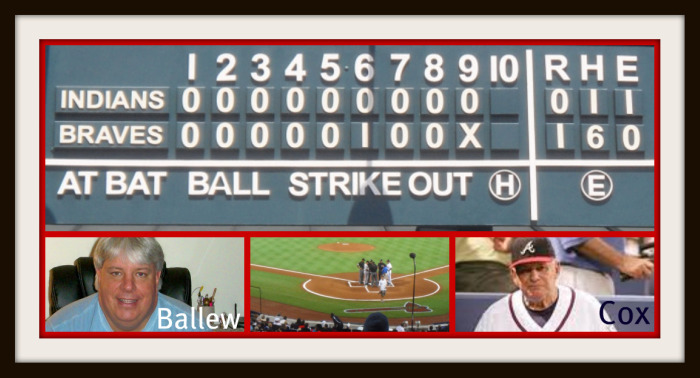 During this podcast, Ed Kasputis will be interviewing Bill Ballew from www.chop-n-change.com about the 1995 Atlanta Braves. Who can forget the incredible pitching performance of Tom Glavine in Game 6? On August 6th, Ed was at Turner Field as the Braves retired Glavine’s number 47 and watched the Braves play their 20,000th game. During this interview, Ed will predict who the Braves will hire to replace legendary manager Bobby Cox. Cox will retire at the end of this season.